The Global Small Business Blog: Happy Thanksgiving Dear Readers! 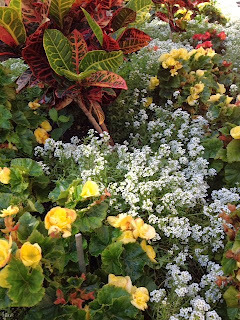 ©Laurel Delaney 2012, "The Garden"
Thank you all for your readership and Happy Thanksgiving! Being a gardener I want to say your welcome. But I need to add that I am very grateful for all the people that take the time to stop, appreciate and spread the good feeling that a garden creates. May your lives be filled with joy.